Workers shouldn’t “strike and go out and starve, but strike and remain in and take possession of the necessary property of production.” So believed Lucy Gonzales Parsons, who died seventy years ago this week. William Loren Katz’s essay seems relevant for today, International Working Women's Day. 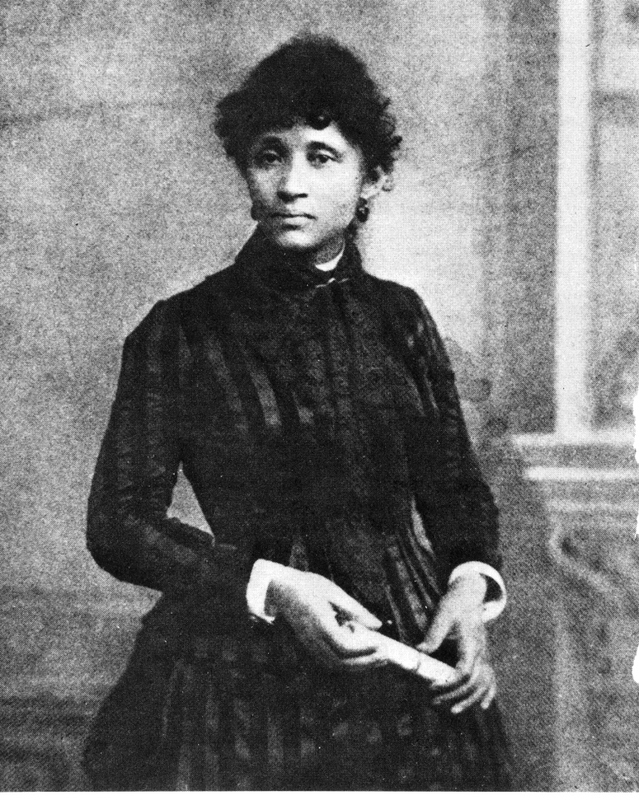 "Workers shouldn’t ‘strike and go out and starve, but strike and remain in and take possession of the necessary property of production.’” So believed Lucy Gonzales Parsons, who died seventy years ago this week. In light of all the meanings the word “occupy” has come to gather in these times, William Loren Katz’s essay about Parsons seems particularly relevant. I post his essay here for International Working Women’s Day, with thanks. On March 7, 1942, fire engulfed the simple home of 89-year-old Lucy Gonzales Parsons on Chicago’s North Troy Street, and ended a life dedicated to liberating working women and men of the world from capitalism and racial oppression. A dynamic, militant, self-educated public speaker and writer, she became the first American woman of color to carry her crusade for socialism across the country and overseas. Lucy Gonzales started life in Texas. She was of Mexican American, African-American and Native American descent and born into slavery. The path she chose after emancipation led to conflict with the Ku Klux Klan, hard work, painful personal losses and many nights in jail. In Albert Parsons, a white man whose Waco Spectator fought the Klan and demanded social and political equality for African-Americans, she found a handsome, committed soul mate. The white supremacy forces in Texas considered the couple dangerous and their marriage illegal, and soon drove them from the state. 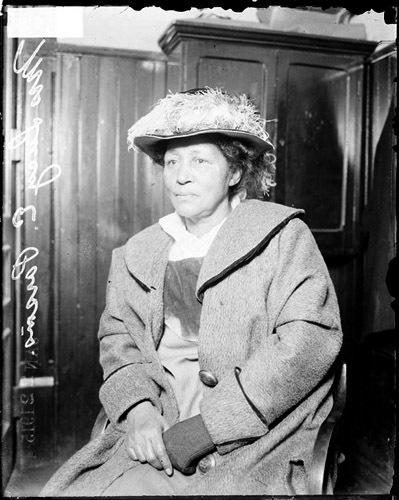 Lucy E. Parsons, arrested for rioting during an unemployment protest in 1915 at Hull House in Chicago, Illinois. Courtesy of the Chicago Historical Society. Lucy and Albert reached Chicago, where they began a family and threw themselves into two new militant movements, one to build strong industrial unions and the other to agitate for socialism. Lucy concentrated on organizing working women and Albert became a famous radical organizer and speaker, one of the few important union leaders in Chicago who was not an immigrant. In 1886, the couple and their two children stepped onto Michigan Avenue to lead 80,000 working people in the world’s first May Day parade and a demand for the eight-hour day. A new international holiday was born as more than 100,000 also marched in other US cities. By then, Chicago’s wealthy industrial and banking elite had targeted Albert and other radical figures for elimination—to decapitate the growing union movement. A protest rally called by Albert a few days after May Day became known as the Haymarket Riot when seven Chicago policemen died in a bomb blast. No evidence has ever been found pointing to those who made or detonated the bomb, but Parsons and seven immigrant union leaders were arrested. As the corporate media whipped up patriotic and law-and-order fervor, a rigged legal system rushed the eight to convictions and death sentences. When Lucy led the campaign to win a new trial, one Chicago official called her “more dangerous than a thousand rioters.” When Albert and three other comrades were executed, and four others were sentenced to prison, the movement for industrial unions and the eight-hour day was beheaded. Lucy, far from discouraged, accelerated her actions. Though she had lost Albert—and two years later lost her young daughter to illness—Lucy continued her crusade against capitalism and war, and to exonerate “the Haymarket Martyrs.” She led poor women into rich neighborhoods “to confront the rich on their doorsteps,” challenged politicians at public meetings, marched on picket lines and continued to address and write political tracts for workers’ groups far beyond Chicago. Though Lucy had justified direct action against those who used violence against workers, in 1905 she suggested a very different strategy. She was one of only two women delegates (the other was Mother Jones) among the 200 men at the founding convention of the militant Industrial Workers of the World (IWW) and the only woman to speak. First she advocated a measure close to her heart when she called women “the slaves of slaves” and urged IWW delegates to fight for equality and assess underpaid women lower union fees. In a longer speech, she called for the use of nonviolence that would have broad meaning for the world’s protest movements. She told delegates workers shouldn’t “strike and go out and starve, but to strike and remain in and take possession of the necessary property of production.” A year later Mahatma Gandhi, speaking to fellow Indians at the Johannesburg Empire Theater, advocated nonviolence to fight colonialism, but he was still twenty-five years away from leading fellow Indians in nonviolent marches against India’s British rulers. Eventually Lucy Parsons’s principle traveled to the US sit-down strikers of the 1930s, Dr. King and the civil rights movement of the 1950s and 1960s, the antiwar movements that followed and finally to today’s Arab Spring and the Occupy movements. Lucy was an unrelenting agitator, leading picket lines and speaking to workers’ audiences in the United States, and then before trade union meetings in England. In February 1941, poor and living on a pension for the blind, the Farm Equipment Workers Union asked Lucy Parsons to give an inspirational speech to its workers, and a few months later she rode as the guest of honor on its May Day parade float. Federal and local lawmen arrived at the gutted Parsons home to make sure her legacy died with her. They poked through the wreckage, confiscated her vast library and personal writings, and never returned them. Lucy Parsons’s determined effort to elevate and inspire the oppressed to take command remained alive among those who knew, heard and loved her. But few today are aware of her insights, courage and tenacity. Despite her fertile mind, writing and oratorical skills and striking beauty, Lucy Parsons has not found a place in school texts, social studies curricula, or Hollywood movies. Yet she has earned a prominent place in the long fight for a better life for working people, for women, for people of color, for her country and for her world. William Loren Katz adapted this essay from his updated and expanded edition of Black Indians: A Hidden Heritage (Atheneum, 2012). Website: williamlkatz.com. This essay also appears at the Zinn Education Project.